We're back! Saturday night, in the Dagger Bar, at Don the Beachcomber! 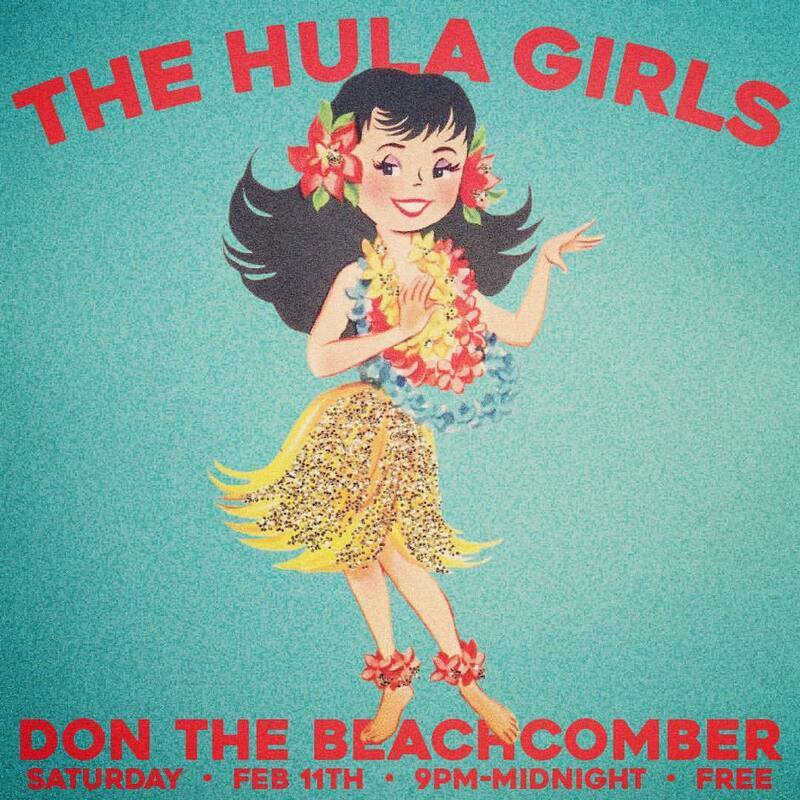 Saturday Night in Palm Springs with Shag! 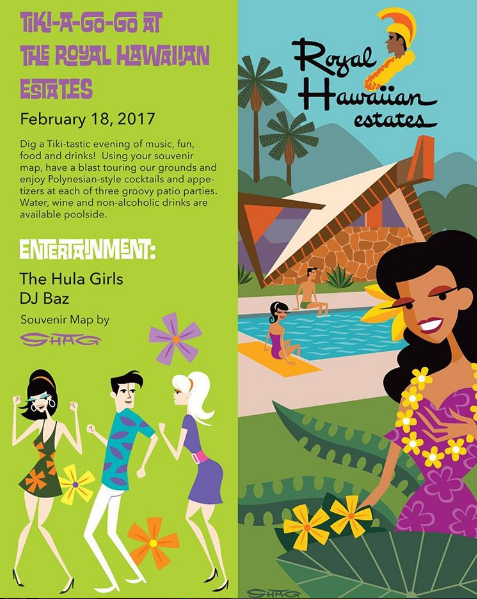 Groove to the beats of the '60s at the third annual Royal Hawaiian Estates Tiki Party. 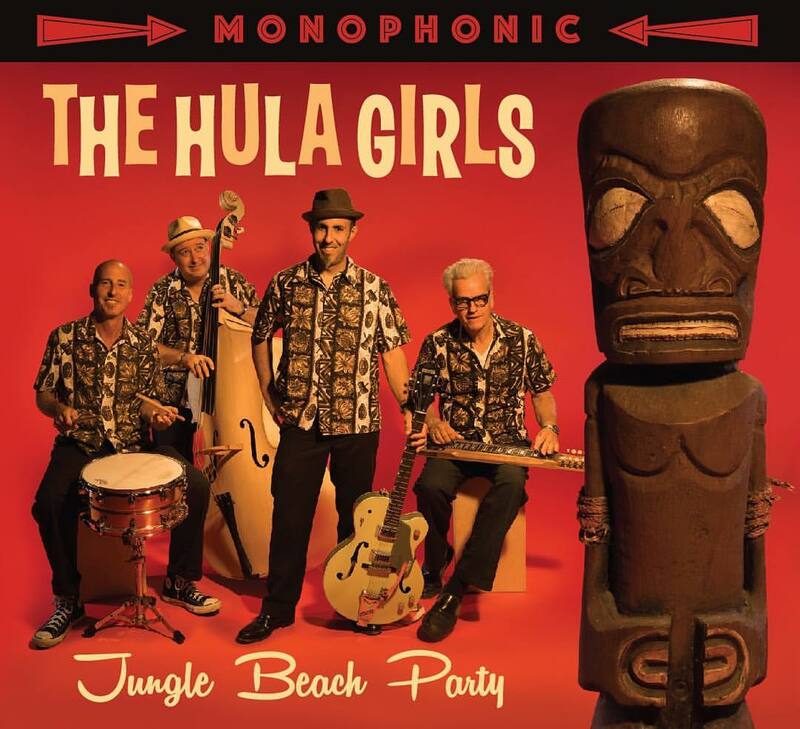 This years theme Tiki-A-Go-Go, features Palm Springs own DJ Baz and live music from L.A.-based The Hula Girls who will team up to bring you Hulabilly and Exotica music to dance the night away. 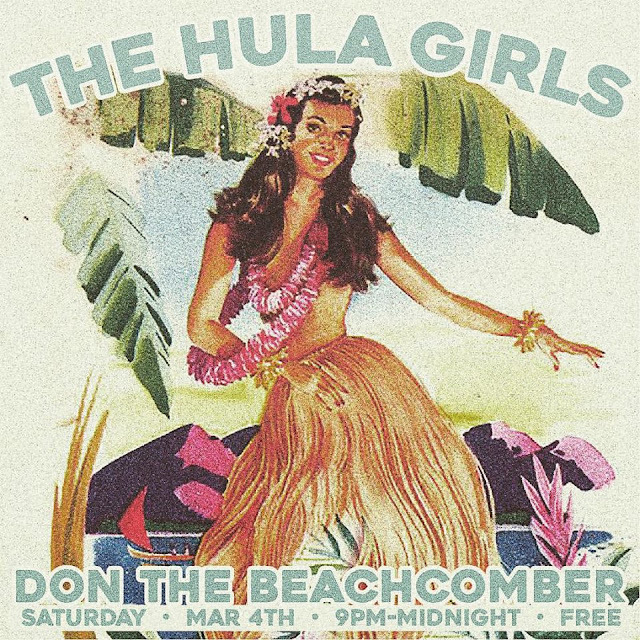 Wear your favorite Mod or vintage Aloha wear and be prepared for a Tiki-tastic evening of music, fun, food and drinks. Use your souvenir map, created by Royal Hawaiian Estates resident artist SHAG, to tour the grounds and participating units of this historic property, designed by Donald Wexler and Richard Harrison. 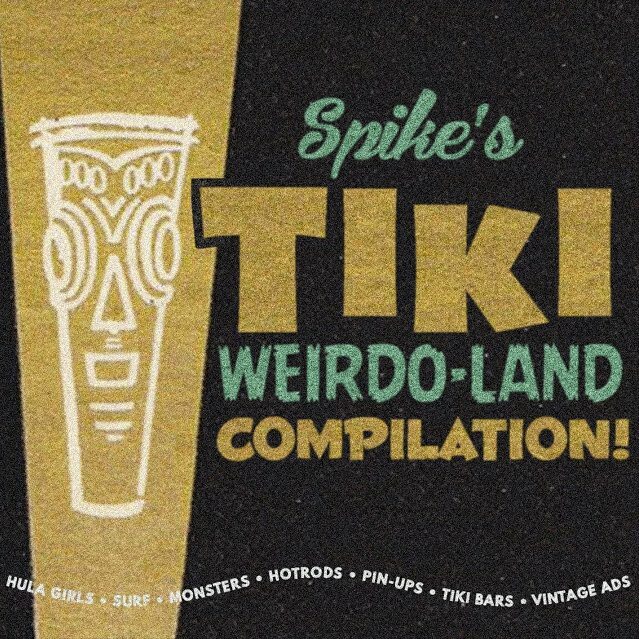 Entry includes your choice of three tiki-inspired cocktails, including our own signature Sunset Mai Tai, and a variety of exotic Polynesian-style hors doeuvres. Wine, non-alcoholic punch and water will also be available. SHAG has also generously donated a piece of art to be raffled off to a lucky attendee. All funds raised from this event will be used for the continued restoration and preservation of Royal Hawaiian Estates, Palm Springs very first residential historic district. Get your tickets early, its an event you dont want to miss!